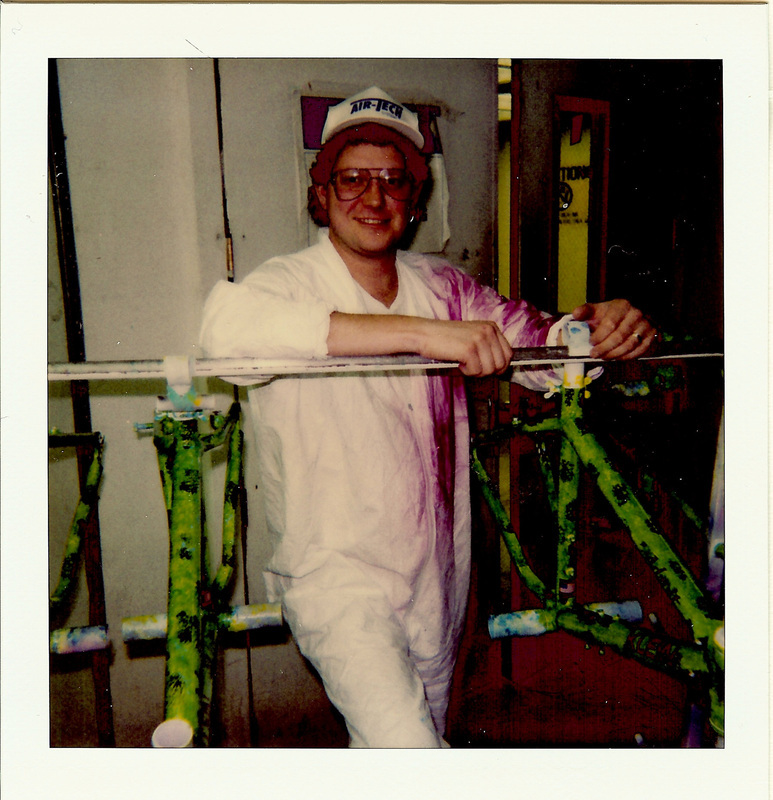 Cory did his Tour of Duty between 1988-1998 and painted pretty much every colour that was in production. 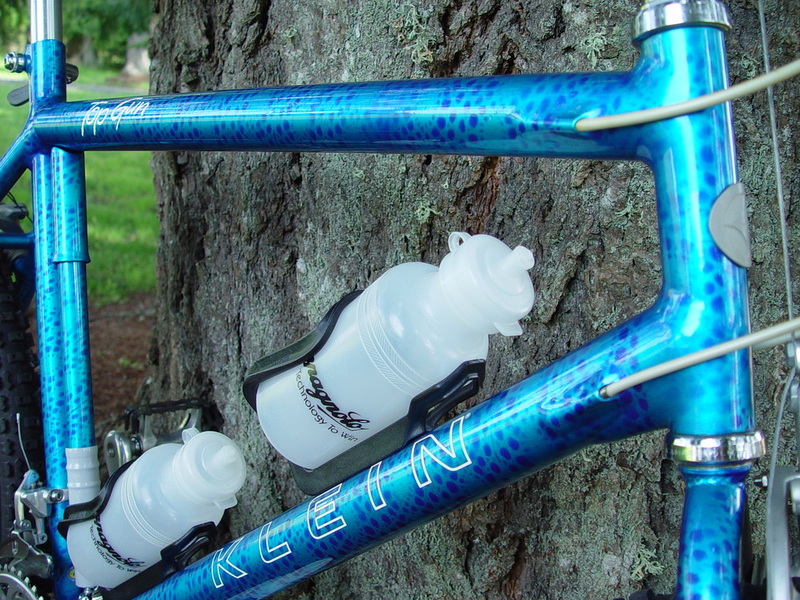 He helped create some of the well known Klein paint schemes as most painters did. 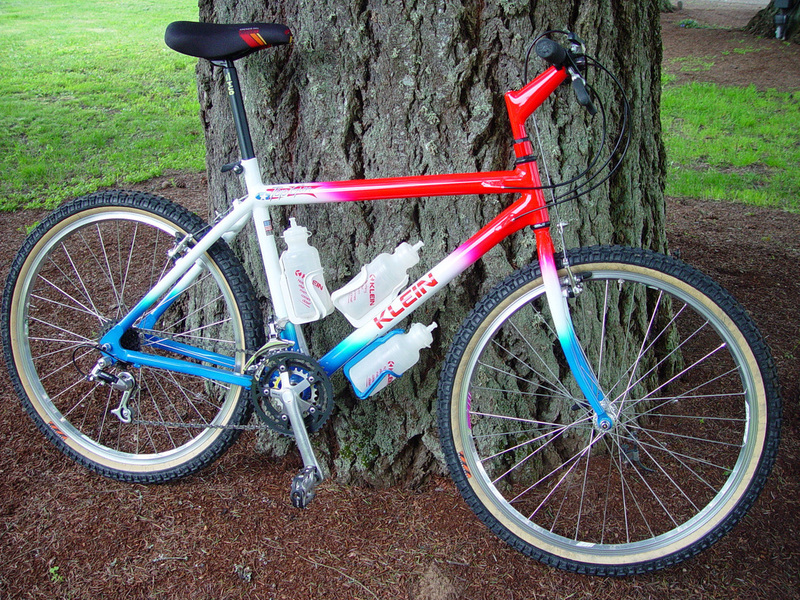 Cory's favourite paint scheme was Backfire. Heres Cory hanging out with some Rainforest Adroits back in the day. 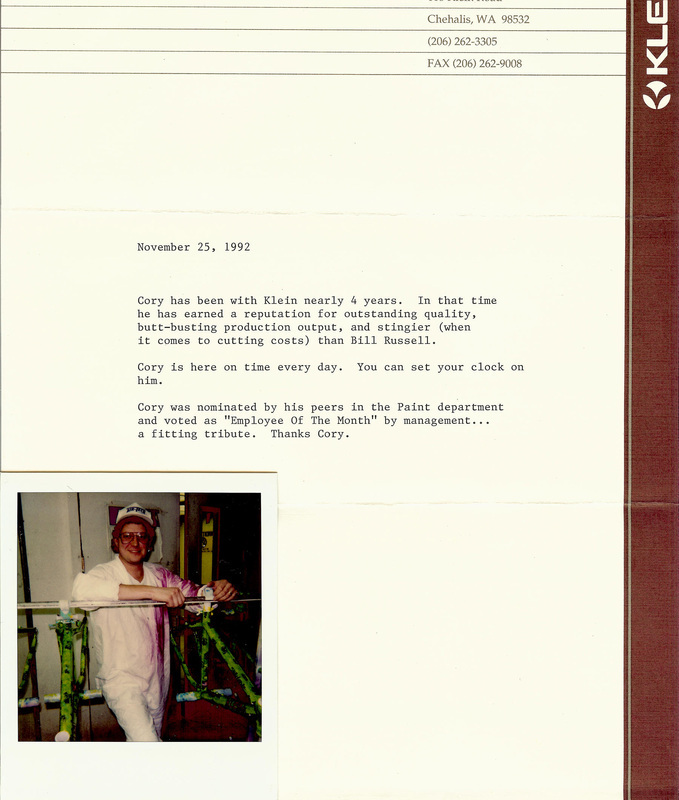 Cory's “Employee of the month” letter. 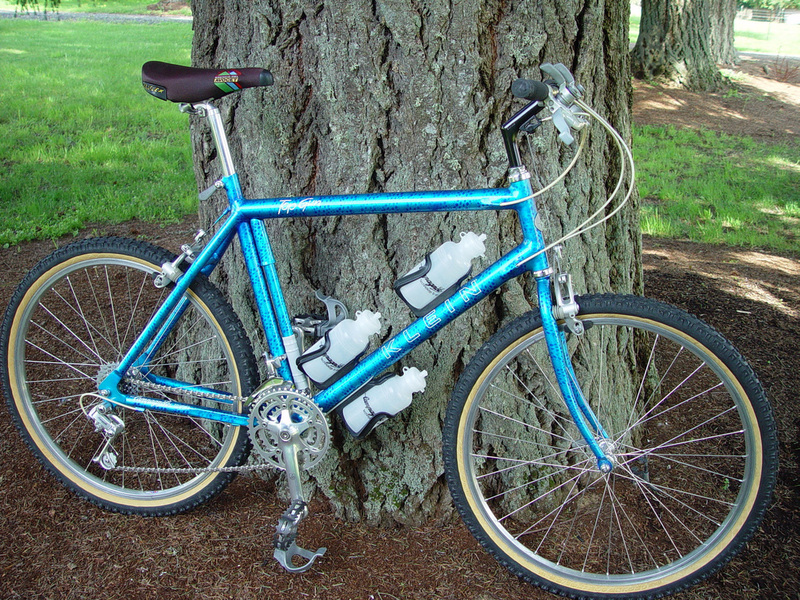 20” Top Gun with fade “laid down” as opposed to chopped in thirds like production models. 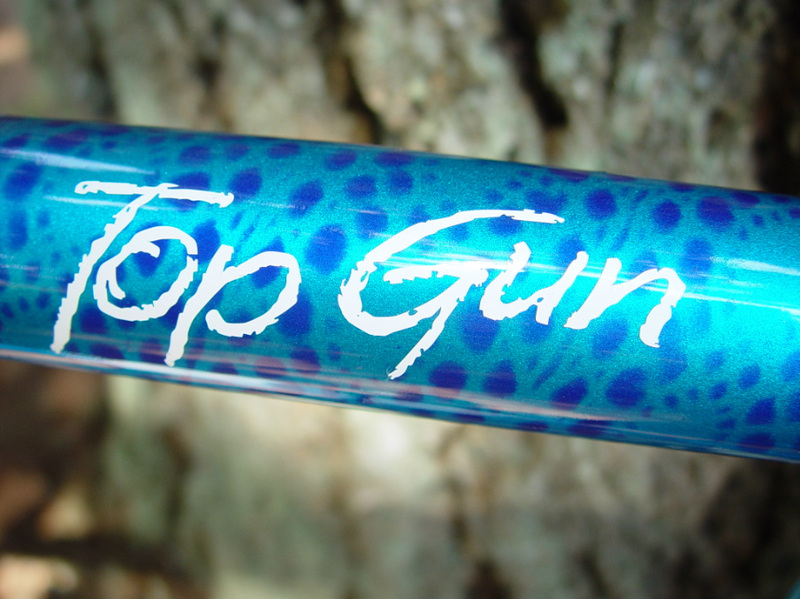 22” Top Gun custom Candy Blue w/Ultra-Violet “lace” spots.